Tony's Talking Pictures Blog: New in theaters June 9, 2017 "Megan Leavey" and "The Mummy"
New in theaters June 9, 2017 "Megan Leavey" and "The Mummy"
The film is based on a true story of a young Marine corporal who forms a unique and binding bond with a combat dog during her assignment in Iraq. “Megan Leavey” is an emotional and satisfying film about the love between humans and their animals, in this case a dog. Over the years we've seen films like this which all touch our hearts. Films like, “My Dog Skip,” “Turner and Hootch,” “Eight Below,” “Max” and even as far back as “Lassie,” prove that movie makers know audiences love films about the human bond with animals. “Megan Leavey” proves that the formula still works and is very powerful. Kate Mara delivers an honest performance as the title character, who was lost in life until she decided to join the Marines. The film's best moments come from footage of Mara as Megan Leavey working with her canine trainee, Rex. 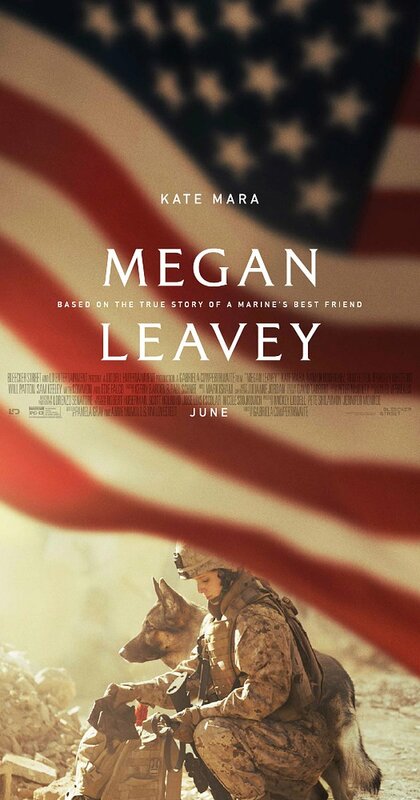 All in all “Megan Leavey” is a film well worth your time to experience. Long ago, an Egyptian princess is buried alive for her evil deeds and swears to return to rule the world. In present day, a mercenary, played by Tom Cruise, uncovers the tomb of the evil princess and unwittingly sets her free. This latest version of “The Mummy” lacks so much. Imagination, direction, interesting characters, characters that are completely unnecessary, dumb plots, confusing story lines and clunky special effects. And there is really no reason for any of that, other than sheer lack of caring on the studio's part. This film needed rewrite after rewrite as well as a few cast changes. Russell Crowe had no business being in this film, other than to add his name to the credits. His character, “Dr. Jekyll,” (Yes THAT Dr. Jekyll) gave the impression it was tacked on at the last moment. Crowe added nothing to the storyline. Tom Cruise was just miscast. Tom could have played this role 15 years ago. The actor struggles to keep himself centered in the role, and loses the audience early into the film. 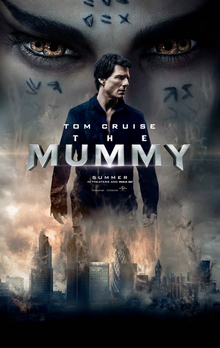 “The Mummy” should have stayed buried. It gets a D and is rated PG-13.